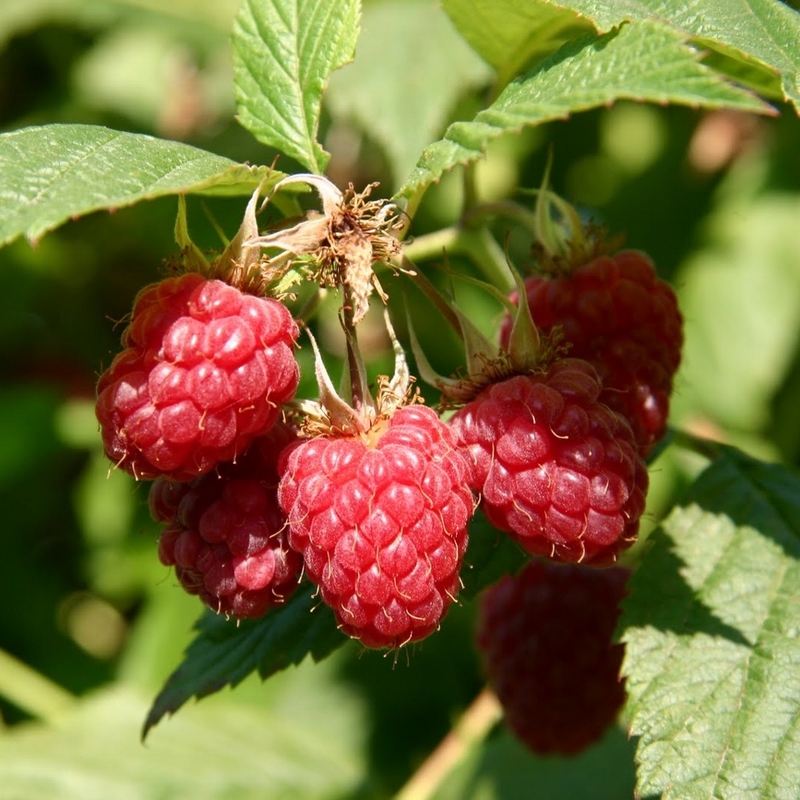 This mid-late summer season variety of raspberry is renowned for producing high yields of very large, bright red berries with a lovely sweet flavour. The fruit is well spaced out on these floricane making it nice and easy to pick your delicious berries. Can be grown in: Dig a good sized hole and pop your plant in just below ground level and cover with soil. Can be grown in pots or large containers initially, however you will need to increase the pot size as the plant begins to establish itself. In the kitchen: These scrumptious sweet raspberries are delicious used in summery puddings such as fruit salad, eton mess or summer pudding. Or use to make yummy jam or in smoothies. Can be delivered from: Late April to July. These plants will arrive in 2 litre pots. We will also include a handy grow guide packed full of advice to help you look after your new plants. 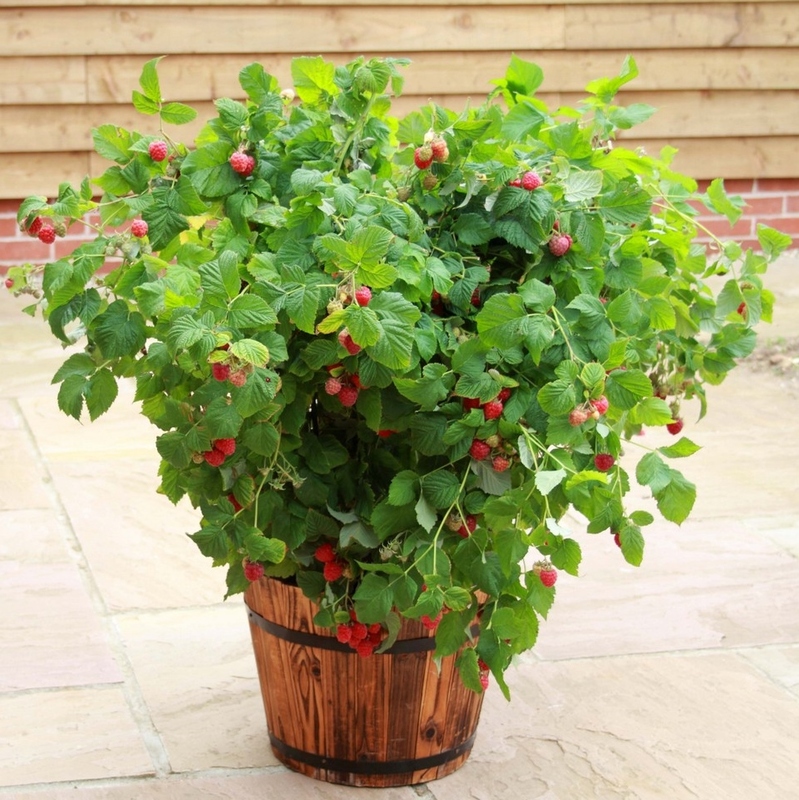 Reaching just 1m in height, these compact raspberry canes are perfect for growing in containers in smaller gardens or on patios and doesn’t require any supporting stakes. These canes are thornless, early summer croppers and produce beautifully sweet berries. Once established, these plants can produce yields of 1.5kg per plant! Can be grown in: Perfect for growing in pots or containers. In the kitchen: These scrumptious sweet raspberries are delicious used in summery puddings such as a fruit salad, eton mess or summer pudding. Or use to make jam or in smoothies. Can be delivered from: Late April to July. This plant will arrive in a 9cm pot. We will also include a handy grow guide packed full of advice to help you look after your new plants. 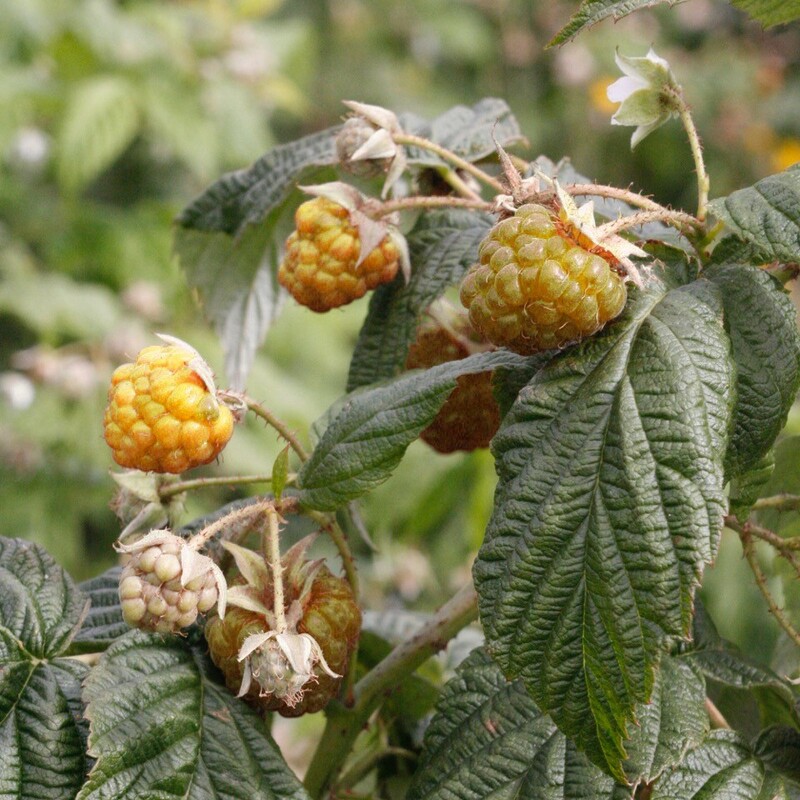 This early fruiting variety of floricane raspberry is very hardy once mature, and has a good tolerance to disease. 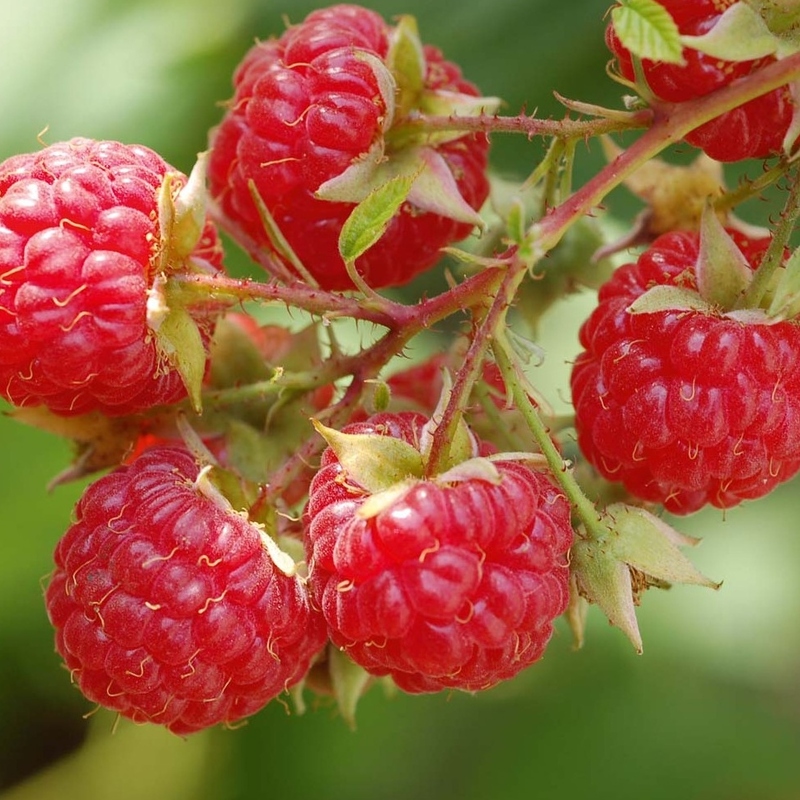 Produces large fruits with a lovely rich red colour and excellent flavour. In the kitchen: These delicious sweet raspberries are delicious used in summery puddings such as fruit salads, eton mess or summer pudding. Or use to make yummy jam or in smoothies. This variety of raspberry is a similar to the Autumn Bliss, but produces large yellow fruits with an amazingly sweet flavour. The delicious, late season fruits can be harvested from late August until mid-October. These tall primocanes are perfect for smaller gardens as they can be grown in a large container to make an attractive feature on the patio. Can be delivered from: Late April to July. These plants will arrive in 2 litre pots. We will also include a handy grow guide packed full of advice to help you look after your new plant. 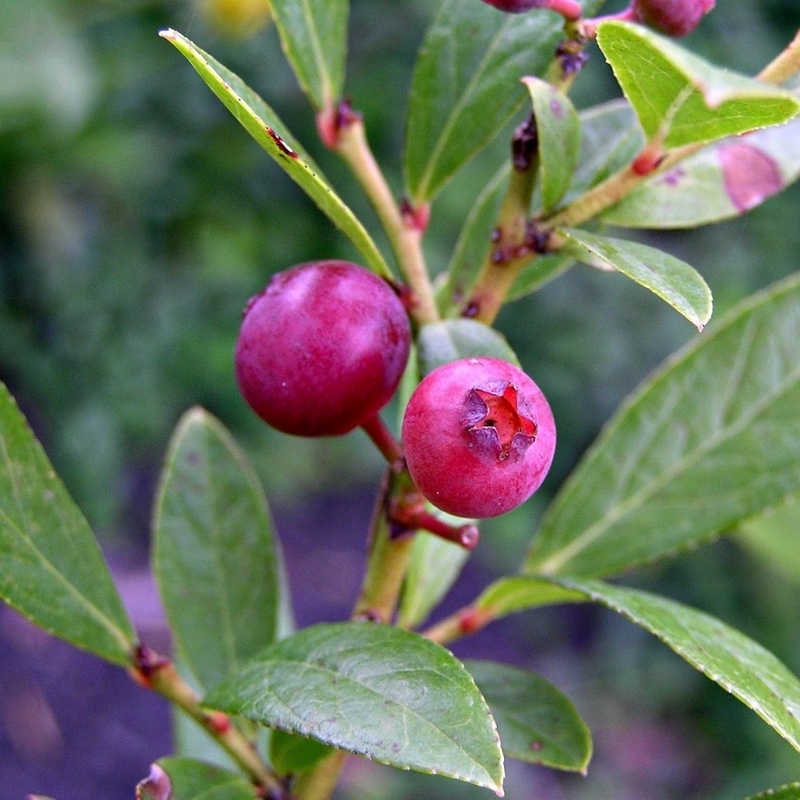 Providing year round colour and interest in your garden, this self-fertile variety of blueberry produces unusual pink fruits with a lovely sweet flavour. The pink-white, bell shaped flowers provide plenty of spring interest, followed by pale green fruits in summer, which quickly become dappled with pale pink and finally ripen to a deep glossy pink colour. As the autumn approaches, the leaves turn bright orange, fading to deep red, before falling to reveal an attractive framework of dusky red-brown winter branches. Planting & growing tips: Dig a good sized hole and pop your plant in just below ground level and cover with soil. Can be grown in pots or large containers initially, however you will need to increase the pot size as the plant begins to establish itself. You will receive a full growing guide with your plant. In the kitchen: These little berries are delicious in summery desserts such as eton mess or summers pudding and never fail to attract lots of interest. They are sweeter than traditional blueberries. 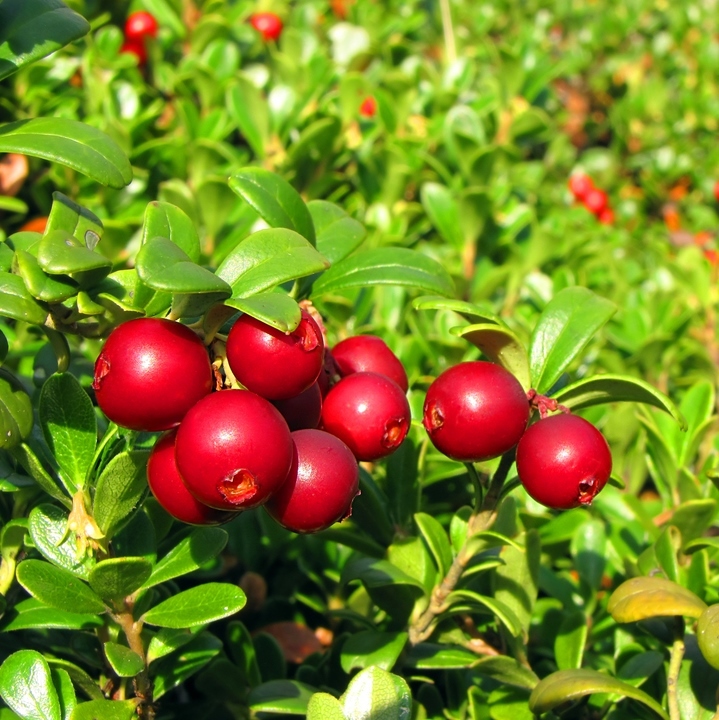 This is a beautiful evergreen which is native to Britain and produces bright red, tart and juicy berries. It’s a very hardy and disease resistant bush that grows well in shade. Definitely one to try! 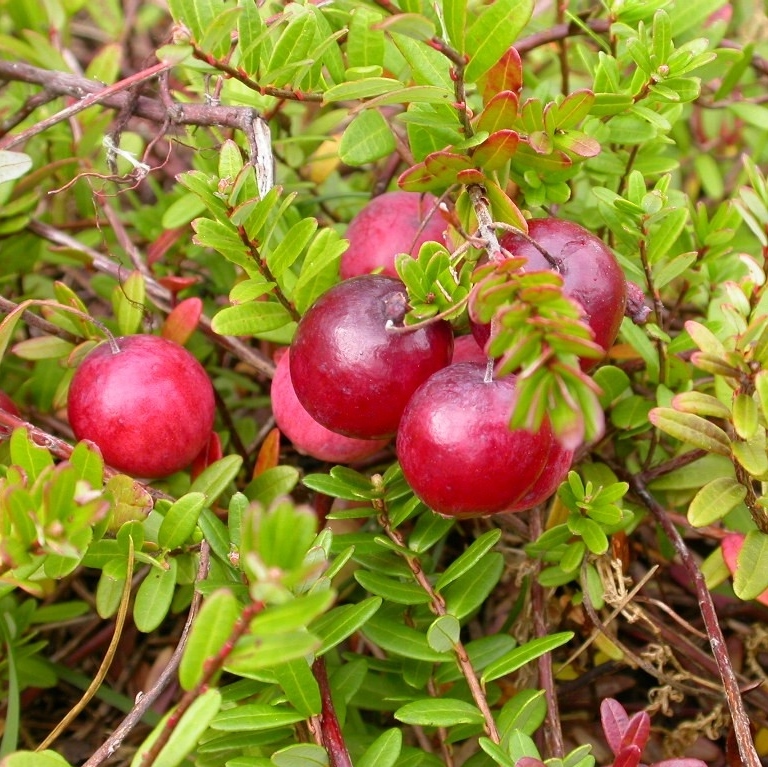 In the kitchen: Lingonberries are very similar to cranberry. They make a delicious jam. You can also use them in summery desserts such as summer pudding. Try making lingonberry juice. 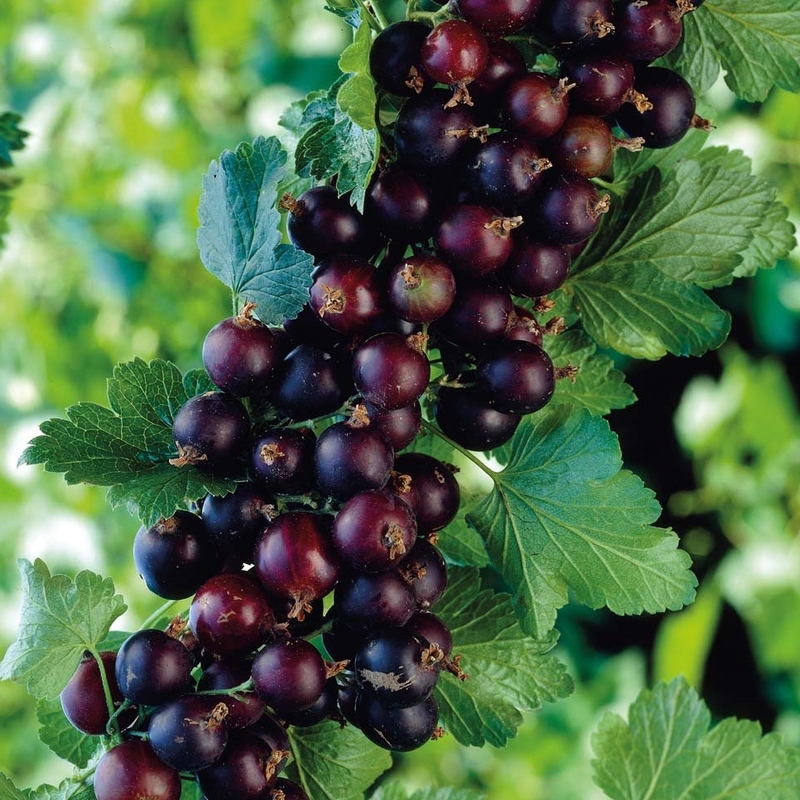 Jostaberry produces fruit that looks very similar to a blackcurrant, but twice the size and with a unique flavour. The jostaberry is a thornless bush that is heavy yielding and mildew resistant. Planting & growing tips: Dig a good sized hole and pop your plant in just below ground level and cover with soil. Can be grown in pots initially, however you will need to increase the pot size as the plant begins to establish itself. We will also include a handy grow guide packed full of advice to help you look after your new plant. In the kitchen: Delicious used in jams, smoothies, juices and summery desserts such as eton mess or summer pudding. This is the most widely grown variety of cranberry as it is well known for its reliability and resistance to frost and diseases. It’s a self-fertile variety producing beautiful deep red fruits with a lovely tangy flavour. Planting & growing tips: Dig a good sized hole and pop your plant in just below ground level and cover with soil. Can be grown in pots or large containers initially, however you will need to increase the pot size as the plant begins to establish itself. You will receive a growing guide with your plant. In the kitchen: Cranberries come into their own around Christmas but are good for much more than accompanying the turkey. Their sour flavour lends itself well to both sweet and savoury dishes, as well as in smoothies, juices and cocktails.